This month, an organization calling itself the “Center for Medical Progress” released heavily edited undercover videos with Planned Parenthood staffers. The selectively edited videos were crafted to create the impression that Planned Parenthood sells tissue, profits from tissue donation for medical research, or violates other laws in this area – which is simply not true. This is the most recent attack in a decade-long pattern of illegal harassment by extremists who seek to ban abortion and leave women without access to services like birth control and life-saving cancer screenings. As they made clear in their own previously released statement, Planned Parenthood in Ohio does not participate in any fetal tissue donation programs. Their family planning and abortion services meet all medical standards and guidelines. 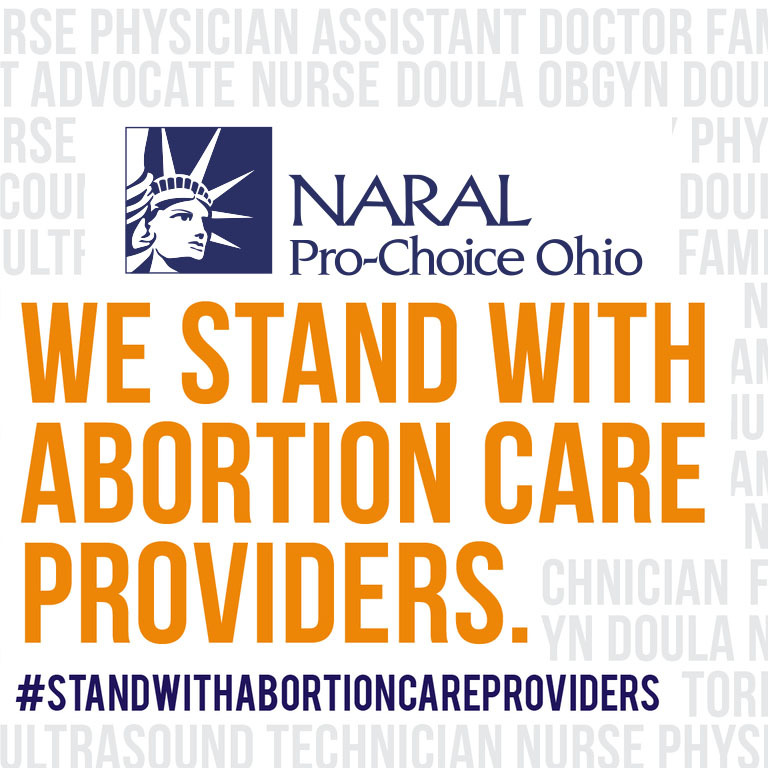 Join us and show your support for Ohio abortion providers by sending them a thank you letter. Tell them how much you appreciate them ensuring access to critical health care services for the people of Ohio! You can also check out the statement from our partners at Progress Ohio. Earlier today, Mike DeWine announced an investigation of Ohio abortion providers following a series of false allegations about Planned Parenthood. Once again, he is taking orders from Ohio Right to Life. Ohio women won’t stand by as he uses his office for his political agenda. Add your name to this Thank You note to the abortion providers he’s targeting. Ohio’s abortion clinics are inspected regularly by the Ohio Department of Health and there is no reason to believe any of them have engaged in any wrongdoing. DeWine’s plan to investigate these clinics based solely on outrageous claims from an attack group outside of Ohio is nothing more than political grandstanding. These wild accusations are another in a string of attacks on abortion care — attempting to discredit, harass, and stigmatize physicians and their patients who decide to end their pregnancies. Anti-choice extremists like Mike DeWine will go to any length to interfere with women’s health, and to restrict abortion access. Every woman deserves to make her own personal and private medical decisions without interference or judgment from extremists. The office of the Ohio Attorney General should not be used to play up lies fabricated by shadowy out-of-state organizations dedicated to stripping women of their right to safe and legal abortion. Tell your local abortion provider you value their work. DeWine’s agenda can’t go unanswered.